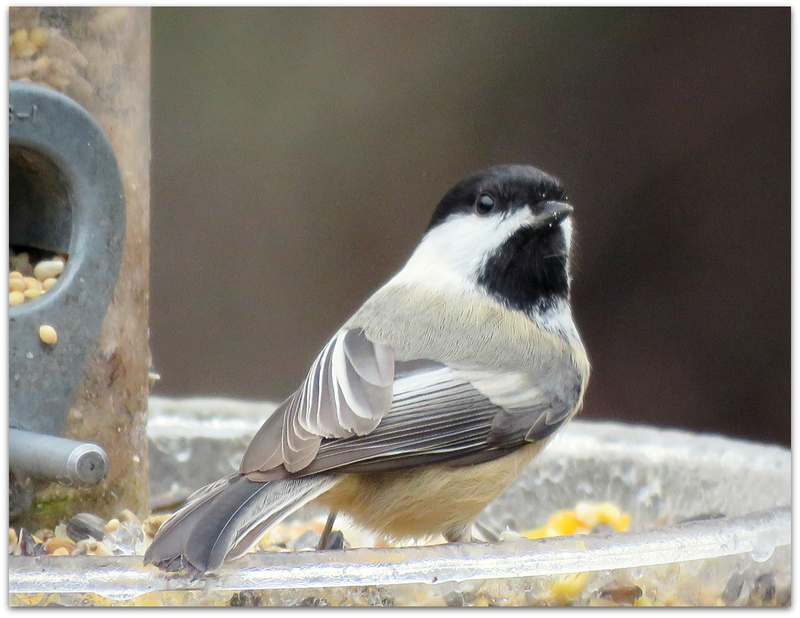 Black-capped Chickadee watching the watcher. 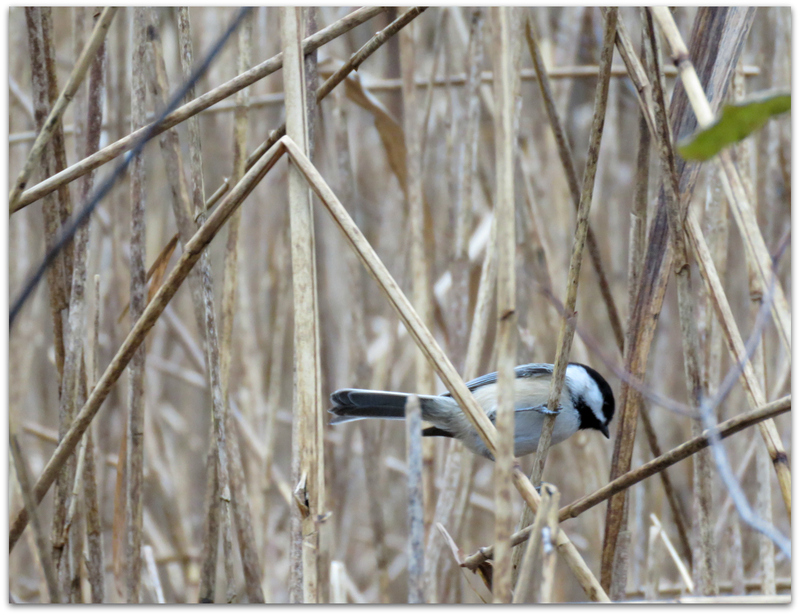 Every day, all year round, there are chickadees. They are first to the feeders when I fill them, sometimes perching on a branch 8 or 10 inches away as I scoop seeds or untie the bag of peanuts. Backyard mascot. They are completely comfortable around me. I won’t be surprised if one lands on my shoulder or head someday while I’m near the feeders. They have the good sense to perceive I’m completely harmless and the boldness to test their theory. When I walk the dog on the path to and from Grandfather Pine, with red maple swamp on either side, one or two will sometime follow along with us, flitting around a few feet away. They keep an eye on things. When I went snowshoeing with the dog in the nearby-but-usually-inaccessible swamp the first time last winter, five or six were noisily abuzz around us. They seemed to be saying, What are you doing out here?? Smart little spies and heralds. This entry was posted in Uncategorized and tagged backyard birds, birds, Black-capped Chickadee, language of the birds on December 7, 2014 by Amy.